If you don’t have sales skills, it’s hard to succeed at work because we are always selling. You have to sell yourself, your products and your ideas constantly. You have to influence those around you to take action or you won’t get very far. When you’re interviewing for a job, your job is to sell the hiring manager on why you are the right candidate. 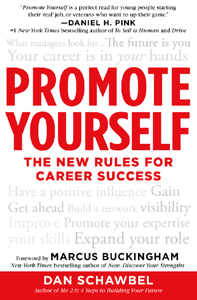 If you want a promotion, you are selling them on why you earned it. Even in your personal life, you have had to persuade your friend to go see a movie or your wife or husband to marry you. Selling is something we all do naturally but we can all improve on it. In order to effectively sell yourself, you have to think about your value proposition. What do you do best? Who can you best serve? What are your strengths and talents? What makes you different? After answering all of those questions, you can get a better sense of who you are, what you can do and who you can serve. Your value proposition should be very specific so that you can stand out among your peers and it should be concise so people remember it. For instance, you can be a salesperson focused on products in the healthcare industry and serving the New England marketplace. Or, you could be a salesperson who specializes in using Twitter to close deals. Your goal is to be as specific as possible so you can become the top player in a certain area. It’s also important to back up your reputation with results from your projects. If you can prove your abilities, not just talk about them, you will be much more effective at persuading people to take action. Whenever you work on a project, build it into a case study that you can leverage to get people to pay attention to you. The case study should show what the project was about, what you did and the benefits to the company you worked with. Make sure you can measure the results because hard numbers matter. Companies are interested in how much you either increased revenues or decreased costs. As the chief salesperson for your career, you need to focus on providing value and building relationships first before you try and take someones money. By starting a blog, podcast, newsletter or writing for someone else’s, you are able to gain visibility, establish credibility and educate your customer or your manager on your value. Furthermore, by building strong relationships with the people that can support your career, you are making it easier on yourself later. If you already have a relationship with the person you’re selling to, it’s much easier and you don’t have to sell yourself at all. Sales skills will always become more important to your career because there will always be more noise and competition and these skills help you stand out. « Buy Your Copy of Promote Yourself Today! This is the third week that I have received and been actively using the skills shown. I have been in sales about a year and phone sales for only 2 months coming up and the things that I am seeing happen just because of the articles or the videos show are amazing. I have been inacting a trust email just asking for an opportunity and telling the customers that I want to Earn there trust because trust is not given….its Gained. It has worked. Just want to say thank you Jeffrey Gitomer for the tips. Helping more than you think. Thanks you for the Top Tips for 2014. Two years ago I started a company and I stopped at the business name and not made any money because I have not charged for my services. Your suggestion to build an online presence is great and spend time creating my own company. In 2014, I hope to tell you that I am earning through my passion. Well said as usual Dan. I’d add to this, that more introverted people who fall behind in some of these regards unfortunately, can use Amy Cuddy style teachings, of improving their leadership image, and confidence somataphysically using body language. Susan Cain’s book on introverts, the Power of Quiet taught me about the sad fact of Introverted people falling behind, that despite their fabulous ideas, all too often they simply aren’t loud enough in presenting them. makes no sense. When we we’re young, we were all great sales people. I’ve been in sales for over 30 years. What all customers buy first is You! If you can’t sell, you will be sold! Great Post Dan! I am digging your blog. Selling yourself is paramount when diving into personal branding. I was a top sales person for a fitness club here in Canada selling fitness memberships. Being known locally in your niche help me when I started my own business. Locally and Globally. The #1 skill needed in America to keep the economy moving is not taught in our school system.